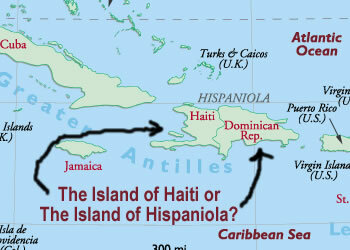 The Island Of Haiti - Renamed Island of Hispaniola? Did you know? the island of Hispaniola was originally named "Island of Haiti" So... Who renamed it Island of Hispaniola? Read more here: The Island of Haiti - L'Ile D'Haiti - Who renamed it Hispaniola? You call it grilled corn on the cob, we call it Mayi Boukannen! Comparing Haiti to The Dominican Republic Part 2 - Fate or Racism? The Island of Haiti - L'Ile D'Haiti - Who renamed it Hispaniola?